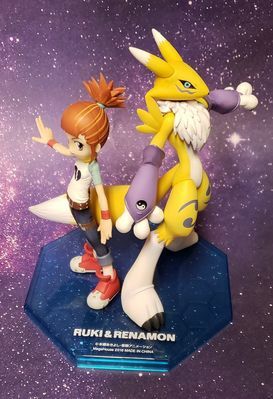 The GEM figures of Ruki and Renamon from Digimon Tamers was released in October 2016. 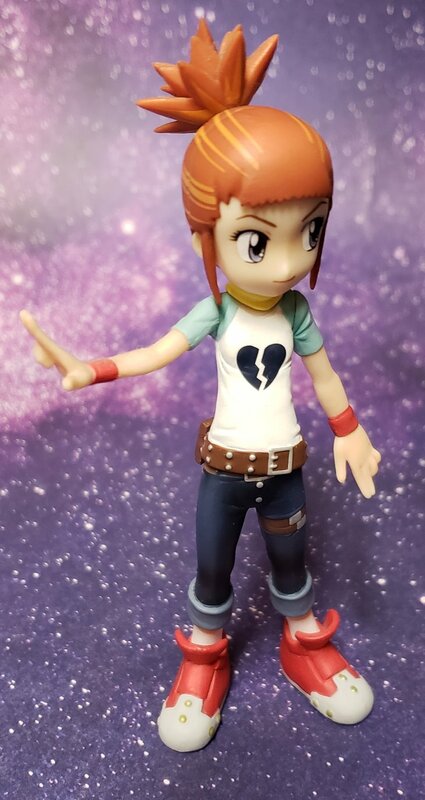 The GEM figures were one that people were quite excited to see, and despite the delay, should be happy to see a breakdown of it. 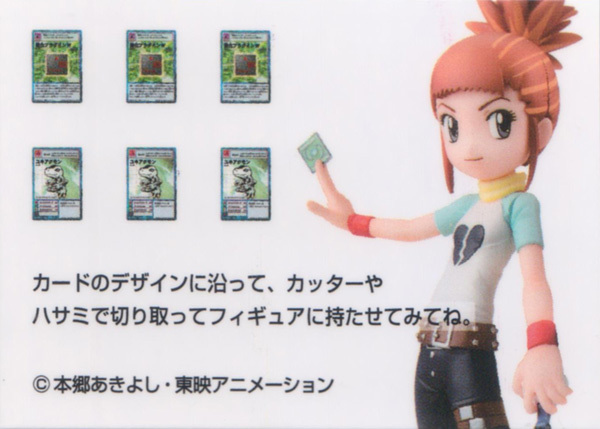 Big thanks to Dev for the scans and photos of the figures. The scanned images had editing done by me, but due to the age of the box (or perhaps the scans were older and lower quality) there was only so much to do to them. 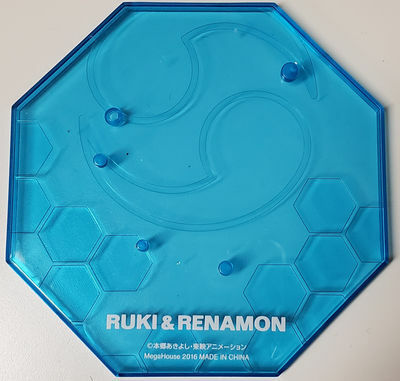 The front of the box has some themeing based on both a cityscape and some basic digital effects. The Tamers logo is small, but easily noticeable. The character names and written in clean block text in both English and Japanese. The primary feature is the windowbox to view the figure. The sides of the box feature photos of the figures, Renamon on the left, Ruki on the right. 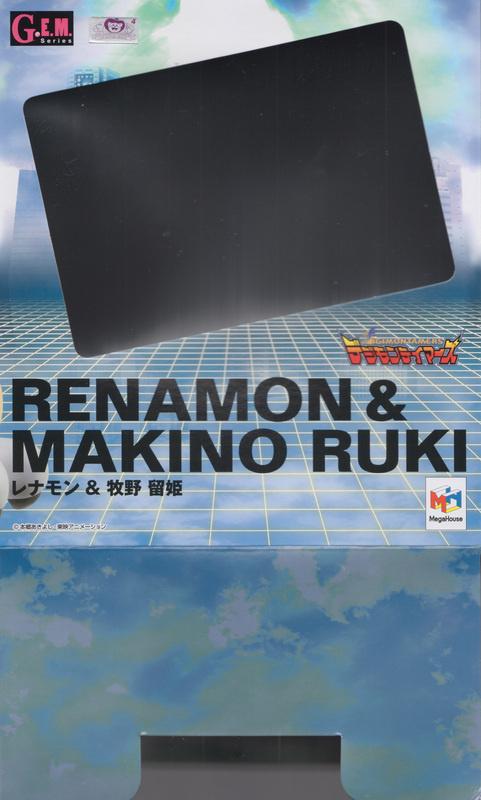 Ruki's side also has some additional windowboxing. 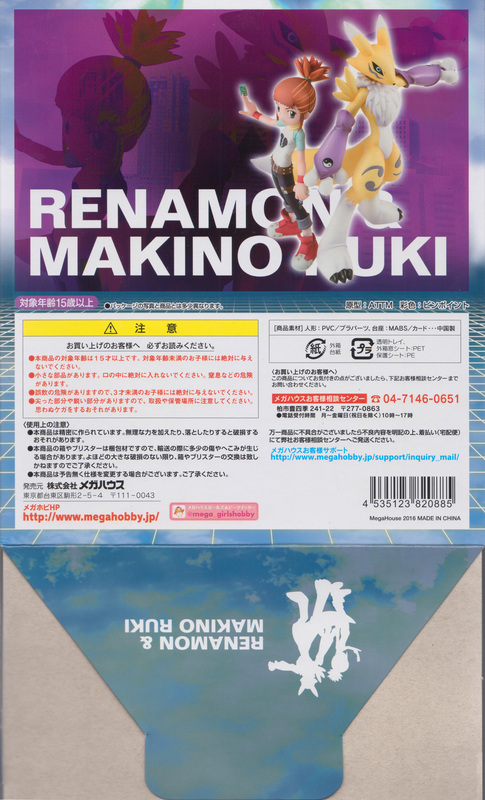 The back of the box features figure images, along with various legal information. The box has no 'bottom side', but rather diffent pieces from each side fold in to make teh bottom. A silhouette of the figures is included on the flap from the back. 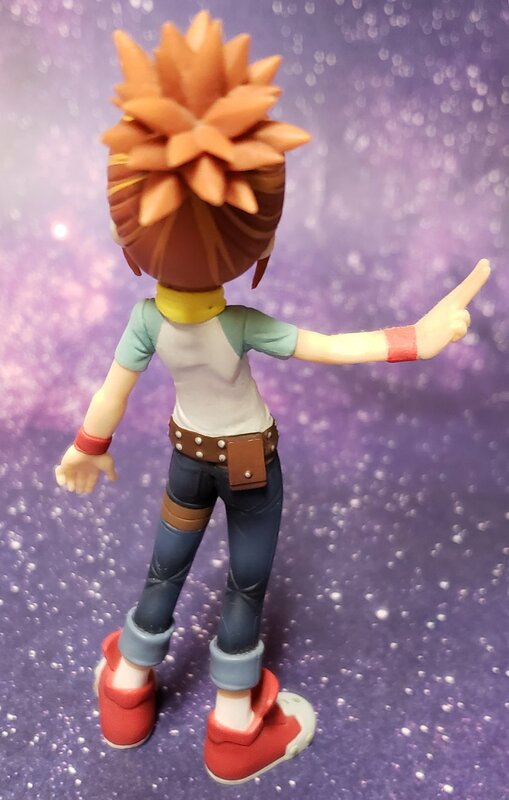 Dev kindly took a number of photos of the figures for everyone to enjoy. First up, both figures on the stand. Then we have each figure on it's own. Ruki is freestanding on all 3 images, while Ruki uses the stand for 2 of her 3, likely to help with stability. First is the stand. 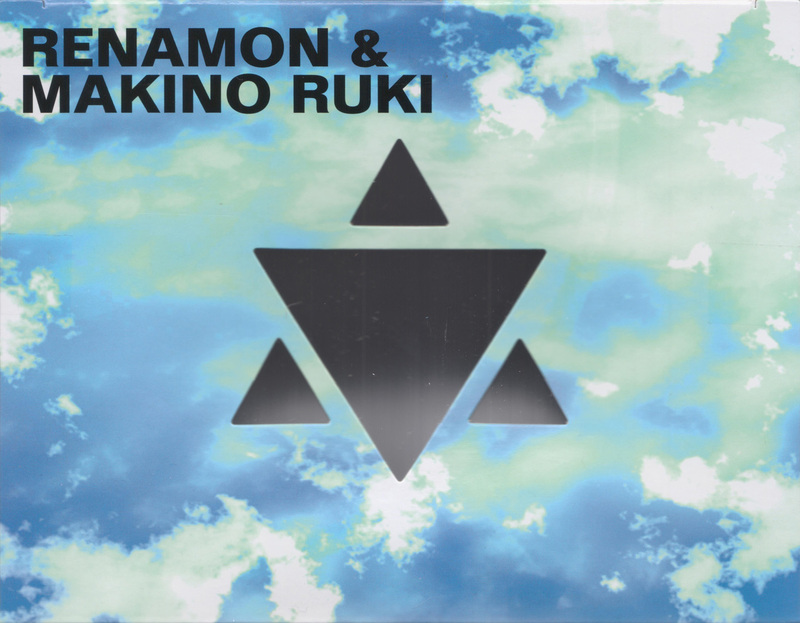 It includes Ruki and Renamon's name on it. 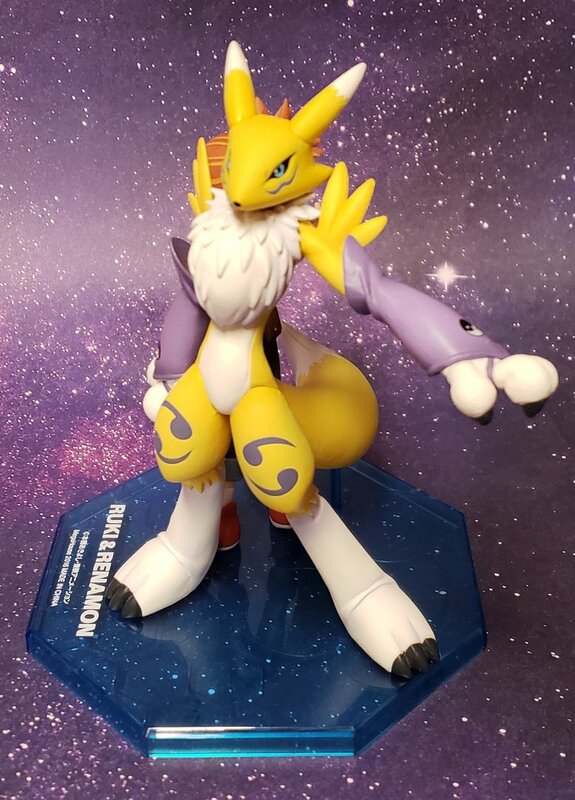 Molded into the design is a hexagon patern, along with the 'unfinished' ying/yang style symbol that appears on Renamon. Also included is a small card. 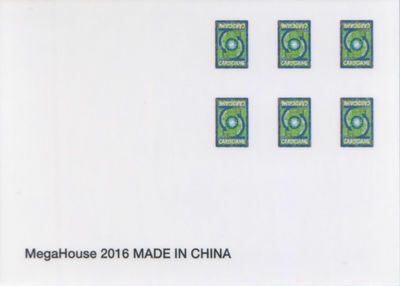 The intention of the card is for you to cut out the cards from it as you need them (it includes 3 of each, seemingly to replace others if anything happens to them.) The Ruki figure can hold the cards. The GEM figure line has had a number of high quality Digimon figures, and Ruki and Renamon is no exception. 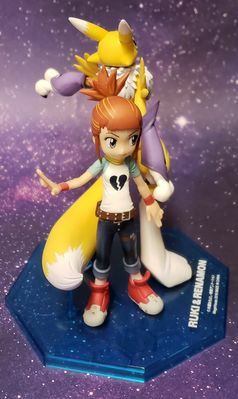 It's a very nice set of figures that fans of Tamers will likely fine to be a great representation of these characters. 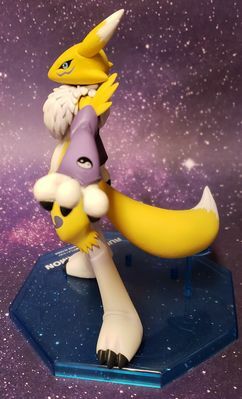 The figure is no longer produced, but they can still be found. Be careful to watch out for bootlegs. 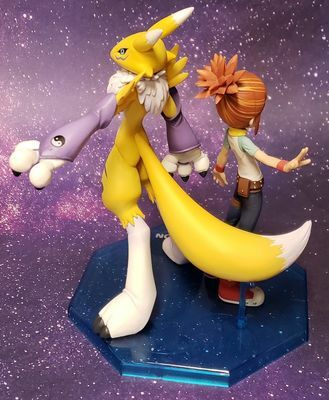 As of the time of this post no GEM figures are currently available to pre-order, but Omegamon, BlackWarGreymon, and ULForceV-dramon are coming soon. Thanks to Devkyu for the images of her figures. Oh I love it!! This figure is so graceful and gorgeous and my favourite one from this series so far. They should do Rika and Kyubimon. Not to mention Sakuyamon too. These are really nice. 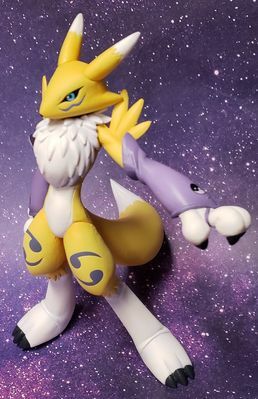 It would be nice to see if they'd do the other forms or humans too.